Esri Ireland, the market leader in geographic information services, today announces that it has invested €1.6 million to expand its operations and cater to increasing customer demand. This investment has funded the upgrade of Esri Ireland’s Dublin headquarters, the lease of new office space in Northern Ireland, increased headcount and enhancement of the company’s technologies and platforms. Esri’s software solutions enable its public and private sector customers to record where things are happening and analyse why, helping them to gain insight and make better decisions. Esri Ireland’s investment will facilitate the expansion of its service offering, allowing it to provide a range of new services to businesses, throughout the island of Ireland. This includes the provision of comprehensive managed services. This latest investment is an essential step by the company to accommodate the continued growth of its workforce and business in Ireland while increasing its capacity for provision of managed services. Esri Ireland’s headquarters in Dublin have been completely transformed into an open plan space that encourages increased communication and collaboration among employees. The company has also taken on additional office space in Northern Ireland to cater to its growing team there. Esri Ireland has also launched GIS managed services, a secure end-to-end managed service for organisations’ GIS environments. This includes the monitoring, management and support of the GIS environment and will enable customers to more quickly and easily deploy geography into their business processes and workflow. To ensure effective delivery of this service offering, Esri Ireland has directed investment towards new online platforms and technologies that will enable the company to scale to meet increased demand. Paul Synnott, director and country manager, Esri Ireland, said: “Accessing and utilising geospatial information helps organisations in every sector to increase efficiency and improve their processes. Esri Ireland has continued to drive awareness of the benefits of GIS, to the point at which it is now seen as a key part of the decision-making process by many organisations. We have experienced high rates of growth in the past year, and having set a target of becoming a €10 million turnover business by 2020 we are now on track to meet or even exceed that projection. 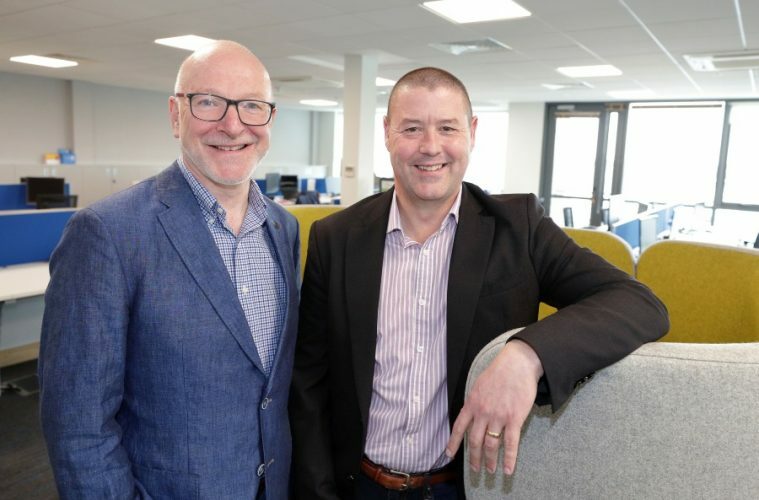 “To drive continued growth we have transformed our offices in Dublin and leased new space in Holywood, Co. Antrim to accommodate our growing team. We have also launched our innovative new GIS managed services offering which gives our customers access to the knowledge and expertise of our specialist team. This service will allow organisations of all sizes to take advantage of the insights offered by GIS regardless of the scale of their in-house ICT function. This investment in our people, platforms and technologies will ensure that we continue to grow and develop while providing our customers with the highest levels of service.